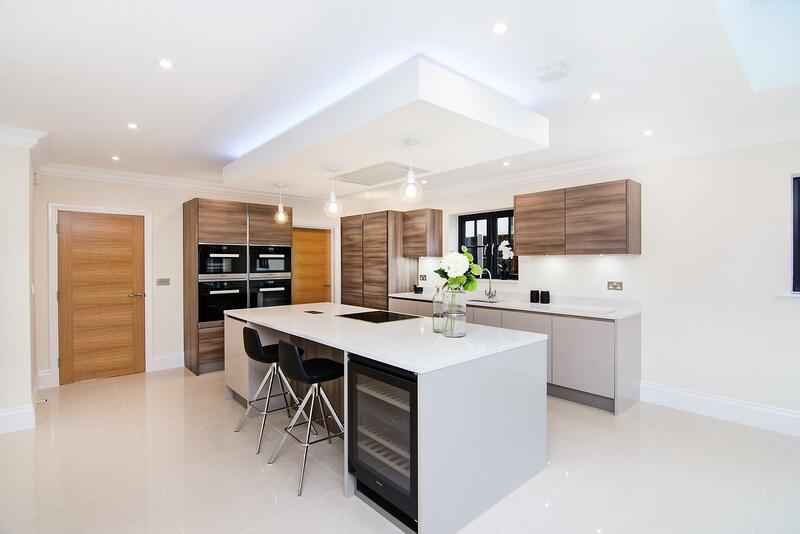 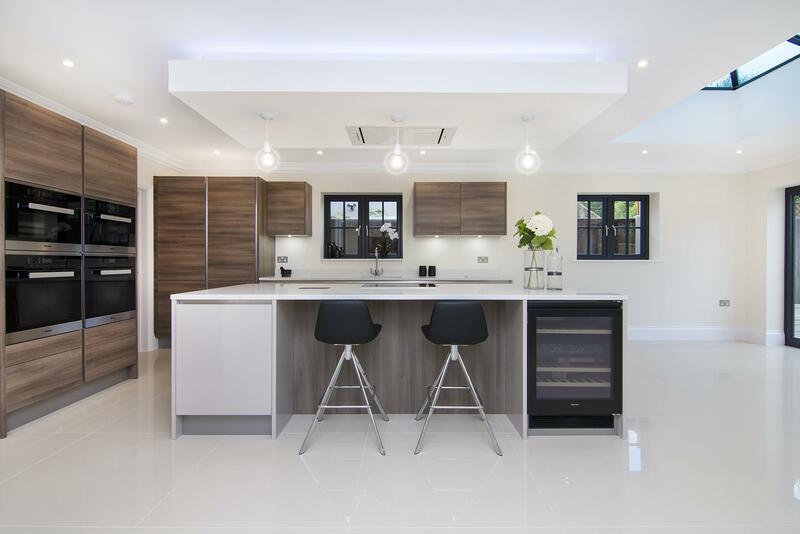 This beautiful kitchen is a project that we worked on for one of our developers for a set of two new build houses. 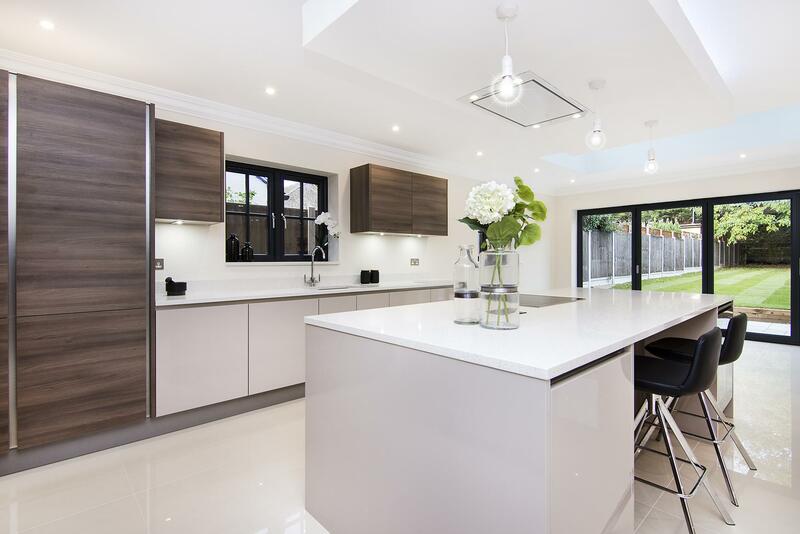 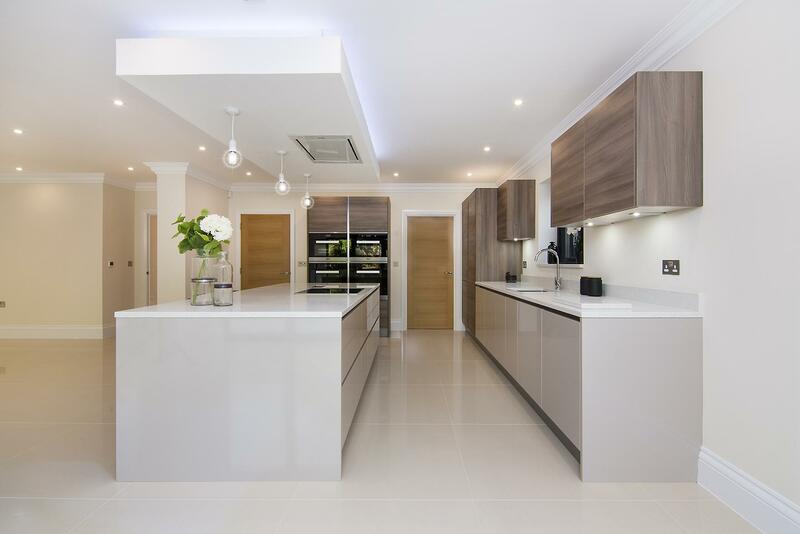 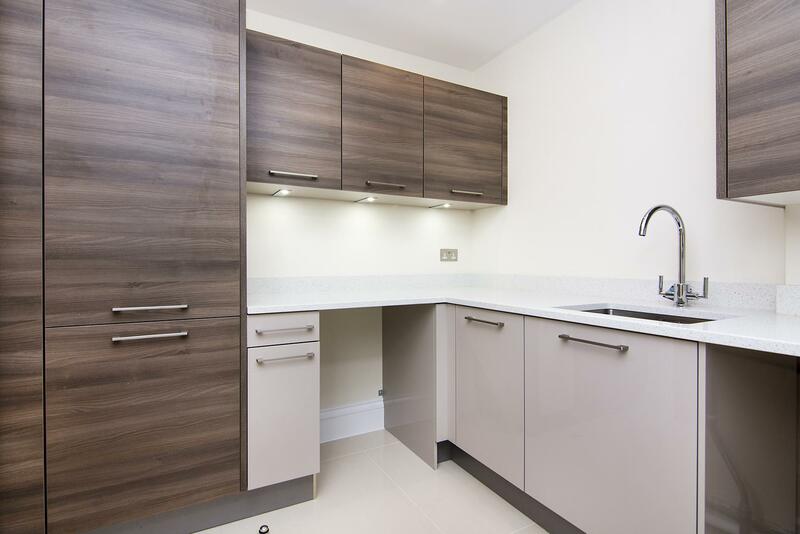 The developers wanted a high specification kitchen, including quality cabinetry and state of the art appliances. 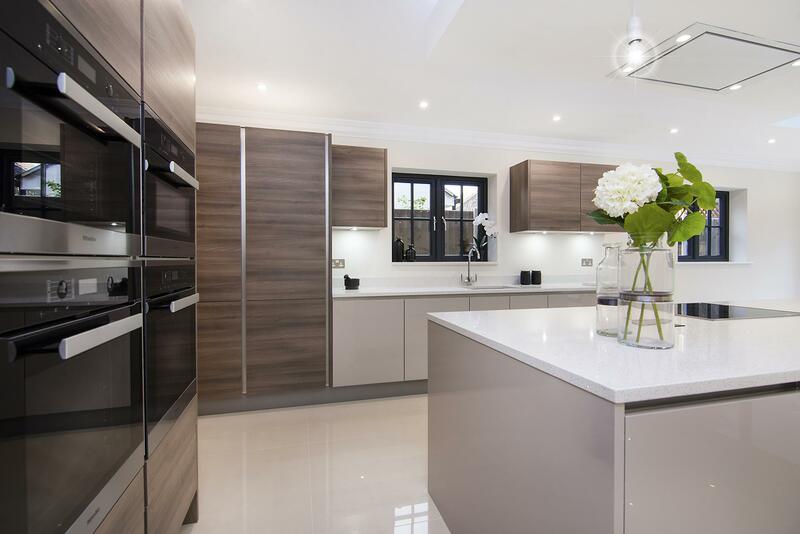 Gloss Cashmere and wood effect Grey Acacia units have been combined with Nova White quartz worktops for a simple yet sleek statement kitchen. 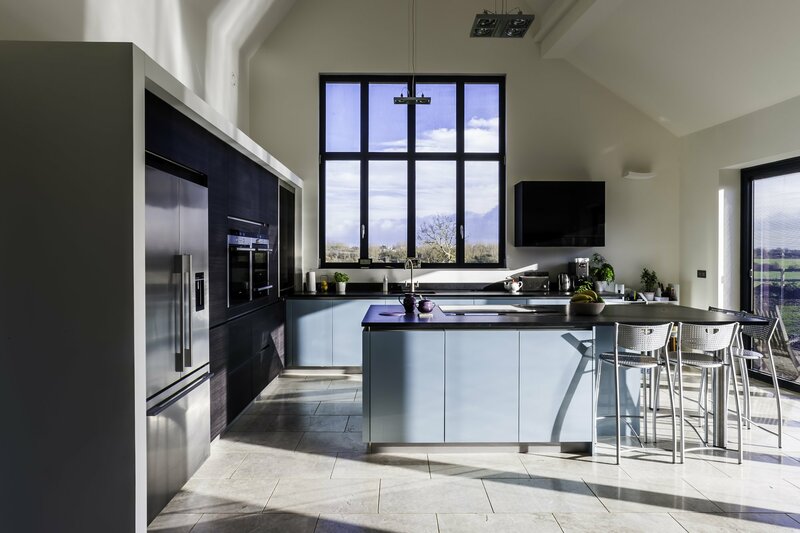 Miele appliances take centre stage including two full size ovens, with separate combination microwave and steam ovens. 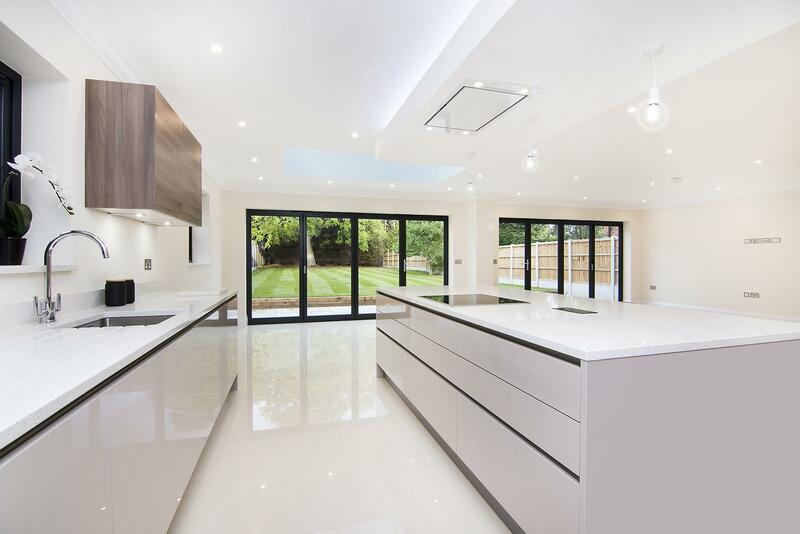 A large induction hob is situated on the island, with seating behind, providing the perfect entertaining and social space.